We have an external company meeting next Thursday and I wanted to make you aware that the contact centre will be open from 9am to 6pm only on Thursday 13th September. Therefor we will have a minimal staffing level where calls may take unusually longer times to be answered. We will have an emergency out of hours set up for any calls after 6pm. The website will not be effected. Please feel free to share this information with your customers. Discover Iceland from your local airport with Super Break! Secure Incredible Iceland Breaks with a £49pp deposit! Please do not hesitate to get in touch should you have any exposure opportunities available. 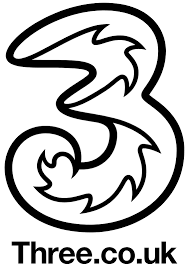 Three mobile are pleased to announce to you, an exciting opportunity! As of Monday 13/08/2018 Three will we running an assist campaign, in the form of a publisher competition, to re-engage with our highly valued content partners. We have a number of very high quality editorial content producers on the programme and the wider network, so we are offering this as an opportunity for you to be rewarded for your creativity. This is a competition, whereby you, the publisher, will write editorial pieces promoting the Three mobile brand/current offers. Whichever publisher drives the most ASSISTED purchases through Three, during this period, will be gifted an iPhone 8 Plus! An assist is when an affiliate has helped contribute to a sale for which they are not rewarded on a last click wins basis. As the creatives, you are at liberty to choose the offers you deem best to promote. However, it’s hard to argue against our current key offers (below) being a good place to start! • These plans also include roaming in 71 destinations, free easyJet plus bag drop, unlimited streaming and Snapchat without using your data allowance. • Write about at least 2/3 of the content ideas above, or a minimum of 2 content pieces around any news, reviews or offers provided by Three Mobile that you deem noteworthy (once you’ve done this – please send us a direct link to the articles for us to review: uk-three@awin.com). • Failure to submit your articles to the above email address will mean you will not eligible to win the prize. 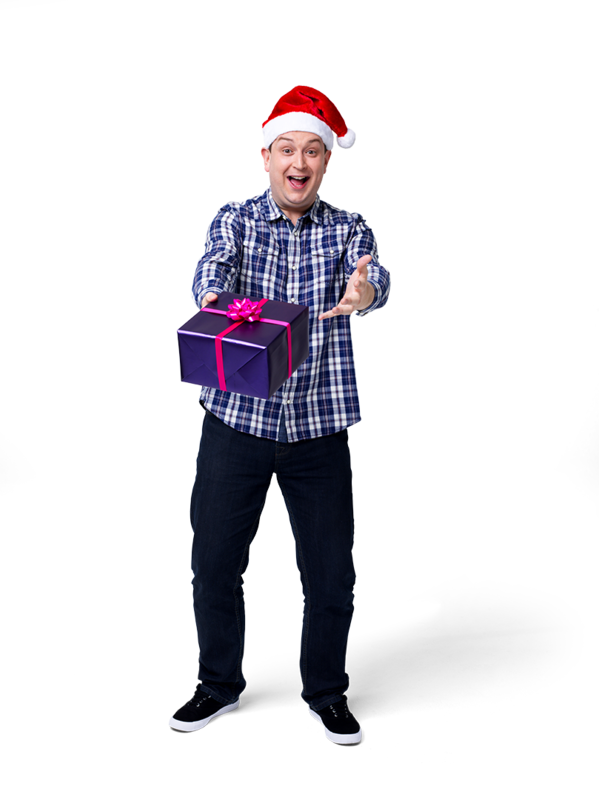 To celebrate the launch of Plusnet Mobile, we are launching a fantastic Christmas incentive. Plusnet Mobile has a range of SIM Only packages bursting with data, calls and texts for a whole lot less money, all backed up by Plusnet’s UK based award winning customer service. In December, if you make at least 5 SIM sales, we will reward you with a £50 bonus. 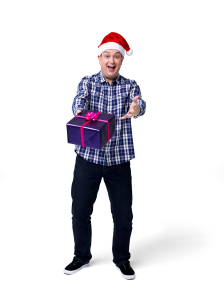 Additionally, to help with all your Christmas food needs this festive season, Plusnet Mobile will be providing a £150 Betty’s Luxury Christmas Gift Hamper filled with everything for a Christmas to treasure. This keepsake wicker basket is brimming with festive specialities, including a classic Christmas pudding made with brandy and Yorkshire Ale, a Christmas Fruit Cake and a beautiful new Large Christmas Chocolate Selection of handcrafted chocolates in a vintage-inspired box. Not forgetting a Chocolate Christmas Pudding for that most magical of stocking surprises. To help you with the content, please see below for some of Plusnet Mobile’s USP’s. Entries close 31st December 2016. Winners and recipients of the bonus will be informed mid-January. We would like to take this opportunity to say a Happy Holidays to you all and we look forward to working together in the New Year! The Summer Sale offers consumers a fantastic saving on lots of products across all genders. A full suite of sale creative is available and can be found on Darwin in the usual place. Terms and conditions apply – Selected lines only. There will be several stages to this sale which will require copy to be updated, please look out for future sale communications for updates. If you require an end date please use Sunday 26th June (this will not be the actual end date but may have a change in sale copy). The Clarks 20% off all adult sandals promo has been extended! Exclusions apply; see terms & condition’s below, also available on site. This promotion entitles you to 20% off any full price adult’s sandals in store or online at www.clarks.co.uk. No cash alternative is available and this promo code / voucher cannot be used in conjunction with any other discount code, but can be used with a valid free next day delivery code. This offer is available for Home Delivery or Collect from Store. When ordering online you must enter the promotional code ‘BEACH16’ at the checkout. To claim your discount in store simply quote our promotional code ‘BEACH16’, show the cashier your 20% off email on your mobile phone or print these terms and conditions. We reserve the right to withdraw this offer at any time. This offer is not redeemable at factory / discount outlets, wholesale retailers or any other Clarks store outside UK. Clarks will be launching a code based promotion on Thursday 26th May! This offers your users a 20% reduction on all Full Price Adult Sandals! Creative will be available to support this offer and will be uploaded to Darwin in the usual place. No publishers are to promote this offer before Thursday 26th May. Clarks reserve the right to zero commission on all sales if a code is promoted before launch. There should be no reference to sale or mid-season sale on any merchant page; any offer promoting sale is misleading to consumers. Clarks will be launching a 5 day only code based promotion on Thursday 12th May! This offers your users a 20% reduction on Full Price Adults Styles! This is a limited time only offer…..your users will have to be quick! No publishers are to promote this offer before Thursday 12th May. Clarks reserve the right to zero commission on all sales if a code is promoted before launch. There should be no reference to sale or mid-season sale on merchant pages as this ended last week, please ensure these are removed immediately. Do not create your own copy. You must use the copy shown above. 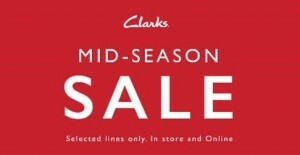 This promotion entitles you to 20% off any full price adult’s styles, bags and accessories online at www.clarks.co.uk. No cash alternative is available. This discount does not apply to Originals, Kids, Christopher Raeburn or Trigenic styles (category containing all Trigenic styles www.clarks.co.uk/c/flex3). This offer is available for Home Delivery or Collect from Store. When ordering online for home delivery you must enter the promotional code ‘BMAY16’ at the checkout. You do not need to enter the promo code at checkout if selecting the collect in store option. The discount won't show on your basket, but will be deducted in store. To claim your discount in store simply quote our promotional code ‘BMAY16’, show the cashier your 20% off email on your mobile phone or print this page. This offer ends at midnight on Monday 16th May 2016 and we reserve the right to withdraw this offer at any time. This offer is not redeemable at factory / discount outlets, wholesale retailers or any other Clarks store outside UK. The Clarks Mid-Season Sale has been EXTENDED for one more week! The sale offers consumers some great reductions on lots of stylish products….including Spring/Summer lines! Please continue to promote the mid-season sale. The creative will not include a % discount message. Publishers are permitted to use a % message in copy lines to highlight the reduction. IMPORTANT: Do not mention Men’s, Women’s, Kid’s or bags/accessories in any copy lines e.g. Up to 50% off kids. Clarks do not have enough discounted stock per gender to allow for copy to include specific genders/categories. You will be in breach of trading standards if you promote the sale this way and your commissions could be impacted. Terms and conditions apply - selected lines only. Publishers must not create their own copy. You must use the copy shown above. If for some reason you cannot use the copy shown above then contact the email address below.